Over the weekend, a viral video showing the unwarranted arrests of two black men at a Philadelphia Starbucks led to protests and calls for a nationwide boycott of Starbucks. The outrage earned nationwide media coverage, Twitter hashtags, and responses from Starbucks’ CEO and both Philadelphia’s mayor and police commissioner. Investigations into the incident are underway, as are the promises of policy reviews and policy changes that inevitably accompany such scandals. As always, there are different versions of what happened, but for once, at least for now, many if not most observers seem to agree that the arrests had to have been the end result of racial discrimination. The men appear to have been singled out for not buying anything, even though they said they were waiting for a friend, and were then reported to the police by a Starbucks employee — who has since left the company. But while most news coverage has focused on the specifics of this one incident, the response from people of color has revealed yet another angle on the pervasive, routine bias that black Americans must contend with in public, and how discrimination is ultimately understood, or imperceptible, by others. Below is what we know so far about what happened and the subsequent response, followed by some stories shared by people who have lived through similar experiences. In her tweets highlighting the episode, Melissa DePino, who is white, said that the police had been called since the men hadn’t ordered anything, but they hadn’t ordered anything because they were still waiting to meet a friend. That friend, a white real-estate developer named Andrew Yaffe, arrived after the police and can be seen confronting the officers in both videos, asking them why they were called, and wondering aloud if it was “’cause there are two black guys sitting here meeting me?” Other people in the Starbucks can also be heard saying that the men did nothing wrong. In the longer video, before the men are handcuffed, Yaffe tells the police that he and his friends will just leave and go somewhere else, but one of the officers dismisses the idea. The officers then handcuff the men, who do not resist, and take them outside. So far, the two men’s identities have been withheld, but some local reports indicate that they work as realtors. The lawyer for the two men, Lauren A. Wimmer, told BuzzFeed News that the men were waiting to meet Yaffe to discuss some business opportunities. Before Yaffe arrived, according to Wimmer, a white female manager had asked the men, who had not ordered anything yet, to leave the Starbucks. She then called 911 after the men said that they were waiting for their friend. After Yaffe arrived to find his friends being arrested, he called Wimmer for help. 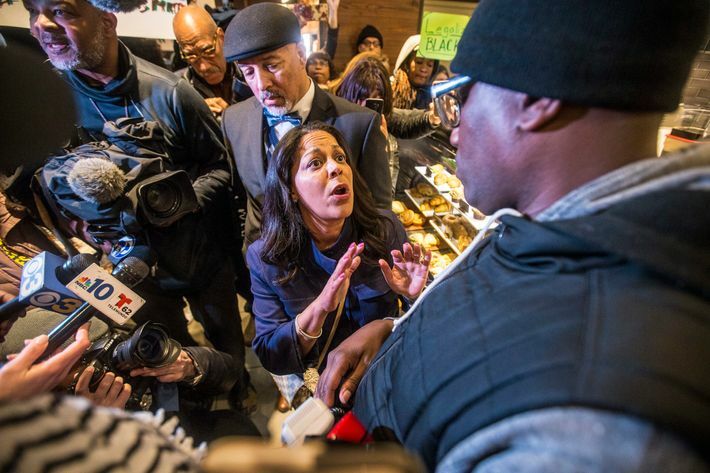 The Philadelphia police later said that the men were arrested for “defiant trespassing,” but were released about nine hours later, at 2 a.m. Friday, after the Starbucks employees and the district attorney’s office declined to press charges. On Saturday, Wimmer insisted that her clients “were blatantly discriminated against based on their race,” though it’s not yet clear if the men intend to file any lawsuits over the incident. Also on Saturday, Philadelphia Police Commissioner Richard Ross made a statement defending the arrests, mainly along the line that the officers had followed procedure. He said that the department had received a 911 call about “a disturbance and trespassing” at the Starbucks location, and when the responding officers arrived, Starbucks employees told them that the two men had come into the establishment, sat down without buying anything, and then asked to use the restroom. The employees said they rejected the request, since it is Starbucks’ company policy to deny bathroom access to nonpaying customers, and then asked the men to leave. Ross said that according to the employees, the men refused to leave, even after being warned that the police would be called. Ross claimed the two officers who responded to the call politely asked the men to leave three times, but they refused, forcing the officers to arrest them. The officers, who were eventually joined at the scene by a police supervisor, followed department policy and “did absolutely nothing wrong,” Ross explained, since they were responding to a private business’s trespassing complaint and had a legal obligation to remove the men. Ross, who is black, also emphasized that the department conducts implicit bias training for its officers to prepare them for scenarios like the one on Thursday. Implicit bias is when a person’s attitudes and stereotypes — based on race, ethnicity, gender, age, appearance, or sexual orientation — have an involuntary, unconscious effect on their judgment and actions. Ross said that he did not believe that such bias had affected the officers’ conduct during the incident. No one else has reported the Starbucks employees’ perspective yet, but witnesses seem to contest the version Ross passed along. One patron who spoke with WPTI-TV confirmed that the incident began after the men were refused access to the restroom, but she claimed that the Starbucks manager did not ask the men to buy something or leave, and just called the police instead. She also said that she had seen a white woman obtain the code for the bathroom without buying something right before the men were arrested, and that during the incident, another person in the Starbucks announced that she had been sitting in the location for hours without purchasing anything. The witness told WPTI-TV that the two men were just chatting quietly while they waited in the Starbucks, and that they remained calm during the entire ordeal. “These men were discriminated against and unjustly detained,” she asserted. Melissa DePino, who tweeted the original video, also told Philadelphia Magazine that she was sitting very close to the men, and didn’t even notice them until the police arrived and confronted them. “They never did anything remotely aggressive,” DePino added. On Saturday, Philadelphia Mayor Jim Kenney put out a statement saying that he was “heartbroken” over “an incident that — at least based on what we know at this point — appears to exemplify what racial discrimination looks like in 2018.” Kenney also promised that the city would work to review Starbucks’ policies. 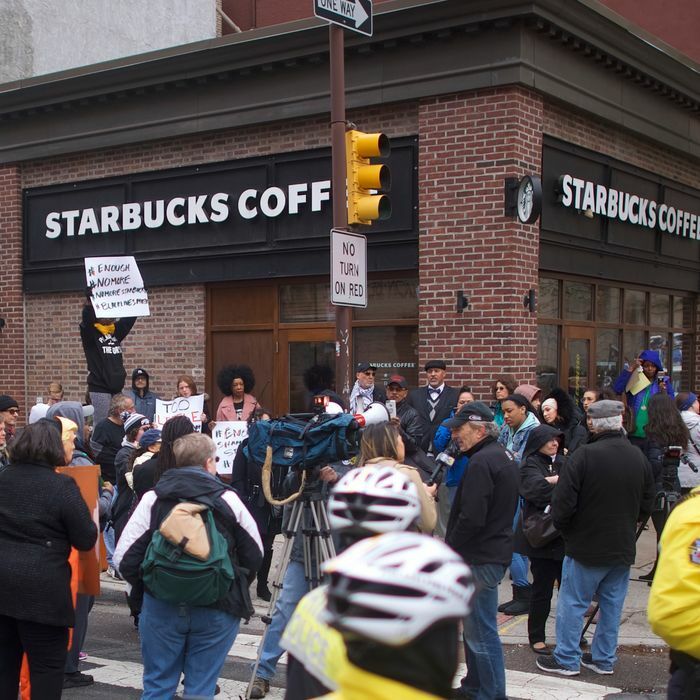 Not surprisingly, the story quickly led to online protests, including a lot attention from Black Lives Matter activists, as well as calls for a boycott of Starbucks, complete with recommendations for alternative black-owned coffee shops in the Philadelphia area. One popular response was to characterize the two men’s only crime as “waiting while black,” a reference to how black Americans are often racially profiled and violently confronted for nothing more than “walking while black.” Overall, equal levels of criticism appear to have been directed at the police officers, Starbucks, and the Starbucks employees responsible for the 911 call. In Philadelphia itself, small protests were also organized over the weekend at the Starbucks where the incident occurred. On Monday morning, protesters occupied the store completely. 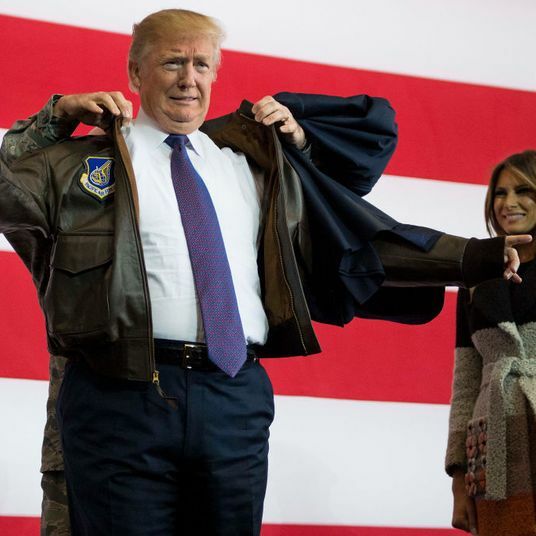 He also said that he would travel to Philadelphia “to speak with partners, customers and community leaders as well as law enforcement,” and hoped to be able to meet with the two arrested men so that he could apologize to them in person. It’s not yet clear if or when that will happen. According to Johnson, the “store manager never intended for these men to be arrested and this should never have escalated as it did.” That may be true, but if so, it’s not clear how the manager — or anyone even faintly aware of the numerous high-profile news stories about racial injustice, particularly at the hands of police, over the past several years — could have not anticipated that outcome. On Monday morning, Starbucks announced that the manager who called the police about the men had left the company, in what was described as a “mutual” decision. Regardless, it’s likely that Starbucks will now try to respond to this incident forcefully, especially since the company has worked so hard to build a reputation as one of the more progressive corporations in America, including high-profile efforts to address racism, albeit with mixed results. The company also heavily promotes how important diversity and inclusion is to its company culture, meaning it needs to protect its employer brand (how current and prospective employees view the company), in addition to protecting its consumer brand. But it might happen less if more people pay attention to how black men and women have responded on social media, sharing their own similar experiences and related anxieties, and explaining how they feel forced to act in most places of business. My partner is the same way. No browsing or recreational shopping. It used to drive me nuts until our boys were racially profiled for looking at sunglasses at a grocery store when they were 7 and three respectively, and I was only a few steps away from them. I literally always buy something before asking to use the restroom in any establishment. It’s baked in to my mentality. I once got thrown out of a Toys R Us when I was looking around at toys. I was about 7-8 at the time. So when I read about these 2 Black men who were kicked out of Starbucks for being Black, I 100% believe them & stand w/ them. I remember how The owner of The Elmwood told me that he didn't train his employees to be racist. But he didn't have to. You have to un-train people. I'm sure Starbucks manual says, "DON'T BE RACIST!" all over it. It has to. It's a major corporation. But I'm guessing it doesn't tell its employees HOW NOT TO BE RACIST. & I'm betting that they don't have regular "Don't be racist/sexist/homophobic/ableist/transphobic" workshops. This Philly Starbucks story reminds me of when the police were called me in Denver at a bank for trying to cash my paycheck. I was a producer on a TV show at the time, the manager said I was lying. He questioned my status as a human, as a black woman, as a journalist. I provided my ID, check stub...had to call another manager to vouch for me because mine had left for the day. The police told the manager that my employer said the check is real, he STILL refused to cash it. I worked for a major media company at the time. Said bank was quickly made aware they had chosen the wrong person to profile. Bank admitted in a letter that there was “no reason” for my check not to be cashed and the fraud detection system worked as it should. Had I gotten “loud” or “angry” in that bank in any way, I would’ve been hit with a DC charge....even though I was the victim. In that moment of being stereotyped, I had to try and NOT fit another stereotype— ANGRY BLACK WOMAN. The officer even commented on how calm I was. Any predominantly white space, be it store, restaurant, bar, neighborhood, I carry a level of anxiety that I didn't even realize. I just assumed it was normal. The constant checking to see who's staring at you, what space you're occupying and can it be challenged in anyway. I have terrible anxiety. And it's really hard to explain to folks, even friends and loved ones, the feeling you get in your chest. How everything becomes heightened. Now imagine that kicking in just because you happen to walk into a white space and you know they don't see "YOU." And well-meaning white folks who try to offer other non-racialized/racist reasons for our experiences? You are never helping. There’s never been a white person who said “Well it may not have been racist. Maybe it was...” that was helpful. When any marginalized group says “I deal with this all the time” & you go “Really? You can’t say that...” you’re making it so much worst. Now we feel like you think we’re liars and/or too stupid to verbalize our own traumatic experiences. It’s insulting and enraging. That, of course, echoes one of the central points of the #MeToo movement when it comes to reports of sexual harassment and assault: the importance, first and foremost, of believing victims, instead of trying to rationalize, recontextualize, or in any other way dismiss their accounts. As writer and activist Andray Domise pointed out in an exasperated Twitter thread over the weekend, too often, people of color pay a steep price — from criminalization to violence to losing their very lives — because white people “cannot police their imagination” during their encounters with people of color. It’s also a point that Melissa DePino has been trying to make since her tweet went viral, in that she is trying to raise white awareness about white cluelessness when it comes to understanding racial discrimination and bias. DePino said she was asked by more than one person if it was possible the men had done something she hadn’t seen; if maybe they had been recognized because they had been to the same Starbucks on a different day and caused trouble; if it was possible she hadn’t seen the entire incident. Judge goes on to emphasize how essential it is for people, and especially white people, to recognize and account for their own biases. Believing the victims of discrimination is essential, but so is trying to prevent discrimination, either through intervention, or by recognizing how bias influences thoughts and actions and results in situations like what happened in Philadelphia. In the case of testing for and counteracting implicit bias, there is also still much left to be learned. In the case of the Starbucks incident, bystanders recognized what was happening and tried to intervene, as well as capture and publicize what they saw. It made a difference, since this story has now become national news. It also came with little risk in this case. Whether they realized it or not at the time, DePino and Andrew Yaffe, the two men’s late-arriving friend, can challenge police officers to their faces and get angry in public places and loiter in the comfiest Starbucks chairs for hours without fearing any of the same consequences that people of color must. As Owens and many others have tried to explain this weekend, some variation of what happened in that one Starbucks happens every day all over the country to a lot more people than most of us realize. Addressing it will demand attention and empathy, from outside communities of color, at times when there is no spectacle or novelty to focus on, or corporation’s app to delete, or white woman’s cell-phone video to share. This post has been updated to reflect the news that the Starbucks manager who called the police has left the company.